Tablets may have ushered in the post-PC age, but the only ones posting a growth in sales are detachables — the ones that are most like PCs. At 206.8 million, tablet shipments last year were 10.1 percent down on 2014. The decline in the fourth quarter—which, with the holiday season, accounted for almost a third of the year’s sales—was even more marked, down 13.7 percent on a year earlier, according to market researcher IDC. 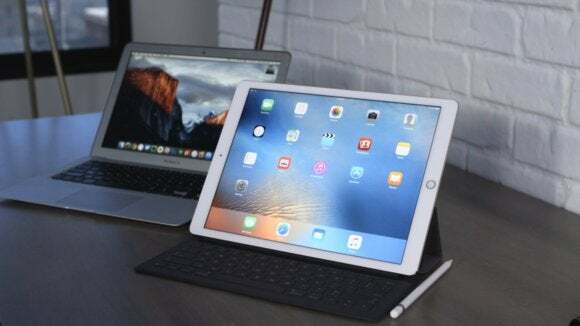 It was, though, a record quarter for detachable tablets, a category in which IDC includes Apple’s iPad Pro and Microsoft’s Surface and Surface Pro, with shipments in this category reaching an all-time high of 8.1 million devices, more than double a year earlier. Unfortunately for Microsoft, replacing a PC can also mean replacing Windows. 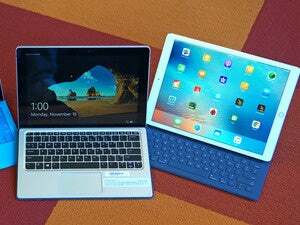 According to IDC the biggest-selling detachable in the fourth quarter was the iPad Pro: it estimates Apple sold just over 2 million of them. The iPad Pro qualifies as a detachable because Apple sells a clip-on keyboard with folding kickstand as a $169 add-on. For that tablet’s smaller siblings, Apple left the market to third-party suppliers. Microsoft managed to sell about 1.6 million Surface devices, all told, of which IDC believes a majority were the more expensive Surface Pro. With the iPad Pro starting at $799—and up to $1079 for a fully loaded model—IDC sees performance as a bigger factor than price for buyers of detachables. Some, though, are happy with a tiny tablet that won’t do much beyond play video and offer an okay web-browsing experience. Amazon.com’s $50 Fire, a 7-inch tablet with 8GB of memory, was aimed straight at that market during the holiday season. The budget-priced Fire put Amazon in third place in IDC’s vendor ranking for the fourth quarter, with a market share of 7.9 percent—still a fair way behind Apple (24.5 percent) and Samsung Electronics (13.7 percent). Amazon is catching up fast, though: a year earlier its share was just 2.5 percent. Fourth-placed Lenovo, also focused on the low end of the market, saw its share remained unchanged from a year earlier, at 4.8 percent. IDC expects the company’s share to rise in 2016 as it exploits its ThinkPad, Miix and Yoga brands, which it has used for laptops and detachable tablets.